I spent a large majority of today on sandblasting and powdercoating. 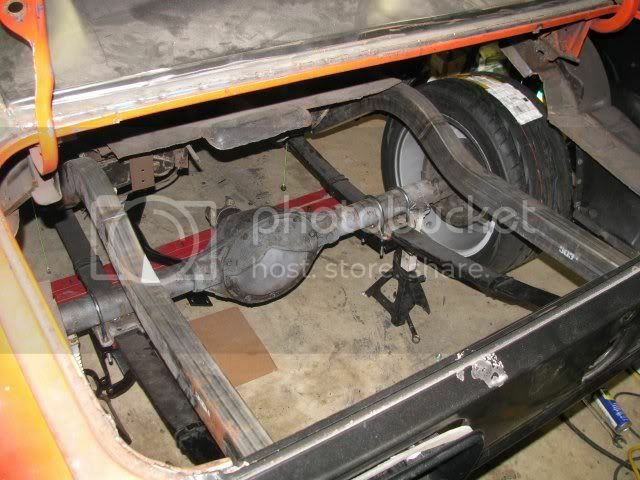 The door hinges on the car were in ROUGH shape. 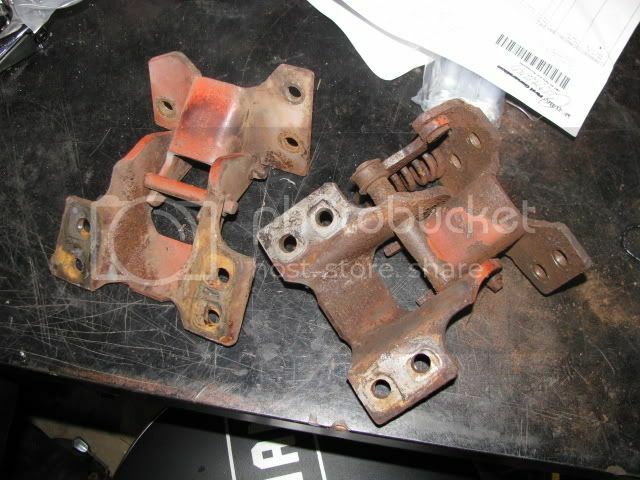 They were incredibly rusted and the rollers were bent and broken, not to mention the pins were bad off, too. After much sawzalling, hammering, sandblasting, straightening, swearing, and PCing, here are the finished products. 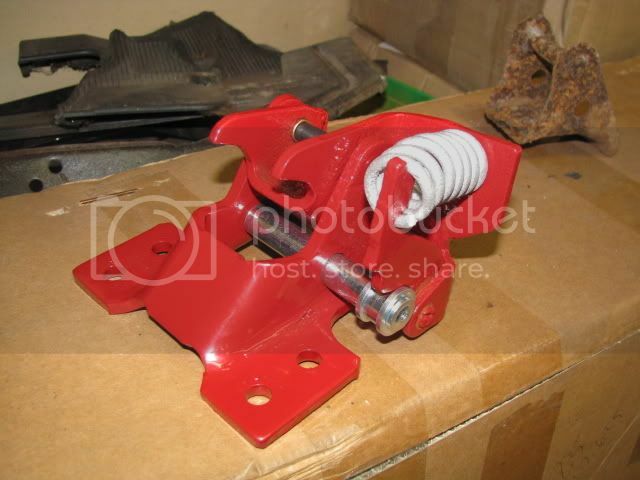 The red is the color we will be painting the car. My powder supplier has a line of automotive paints that matches their powders, so we picked a red we liked and bought a bunch of powder. 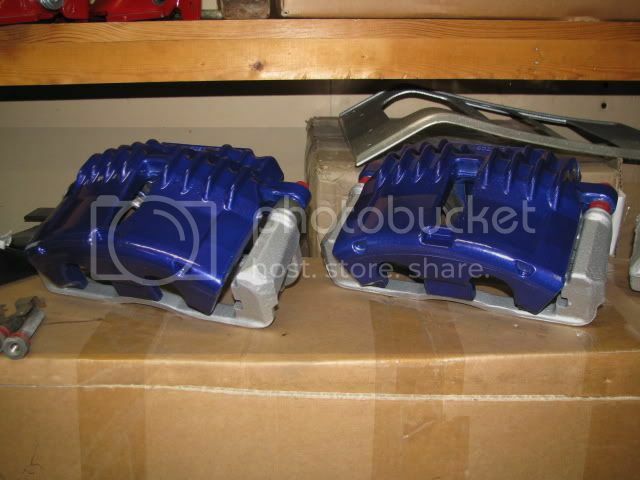 And I also powdercoated the rear calipers that RPM donated to the project. 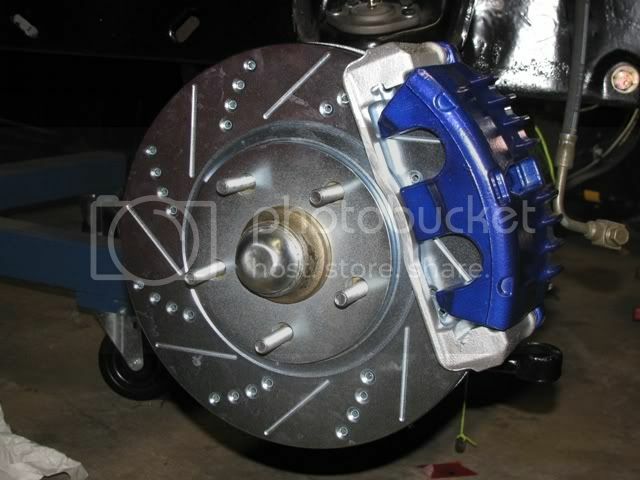 I went with a silver PC on the brackets and a Anodized Blueberry over a silver basecoat on the calipers. Tomorrow I'm going to do the front ones I have here. 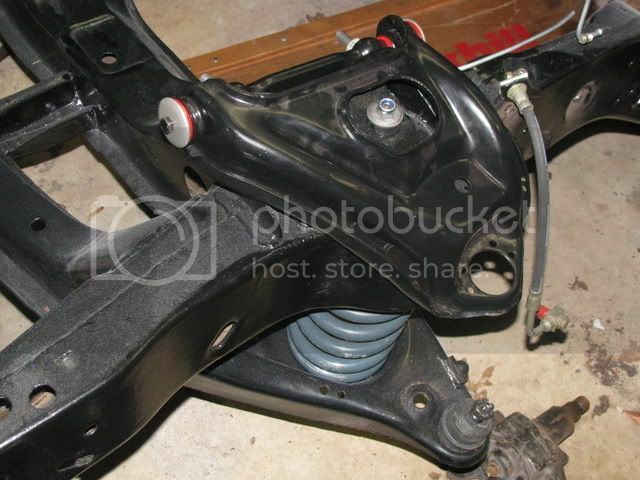 Got the steering stuff all put together. 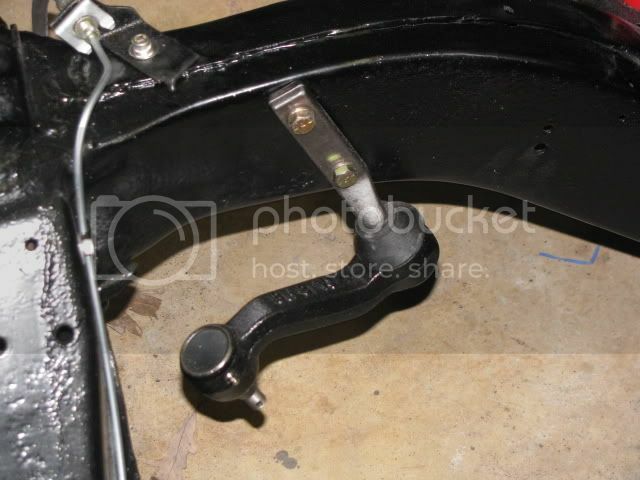 We blasted and painted the center link in semi gloss black and then I painted the tie rods with gunmetal. The Prothane boots really set off the part, too. 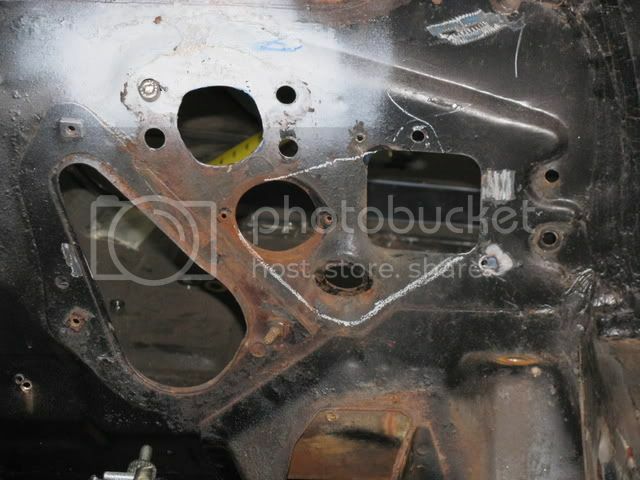 I'm also replacing pretty much every bolt and nut with either stainless of grade 8 stuff. 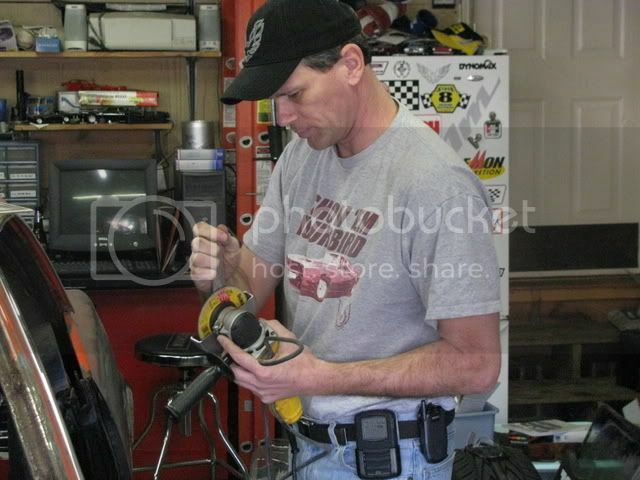 I'm also eliminating all the speed nuts that I can. 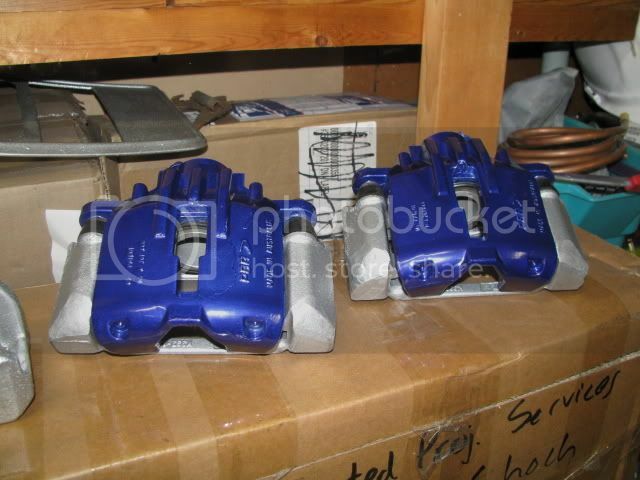 And I powdercoated the front calipers. The slider pins were crap, so I didn't bother assembling them yet. And in other news, we're gonna be on TV! A NC show based out of the Charlotte area called Cruise Control TV is going to be doing monthly segments on the car, out first interview is this coming Monday! I'll keep you guys posted on the air dates. Got the calipers assembled tonight. I bought new sliders, but found some old ones in the shop and used them just for mockup. I'll install the new sliders when we put them on the car. 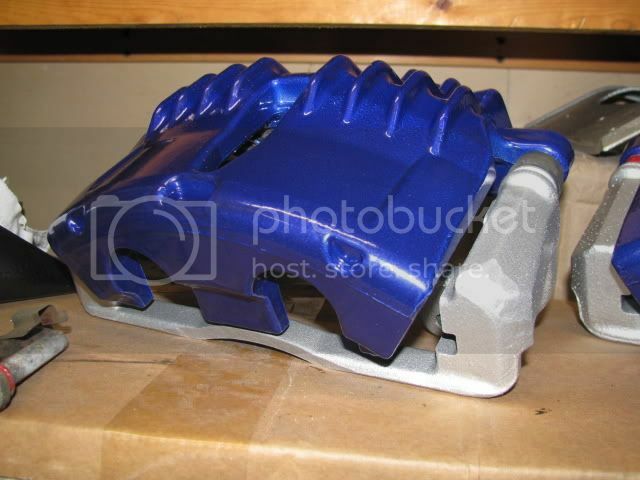 I am EXTREMELY pleased with the color scheme I picked for the brakes. The silver and blue just really pop. I also got my welder back and they finally figured out the problem. 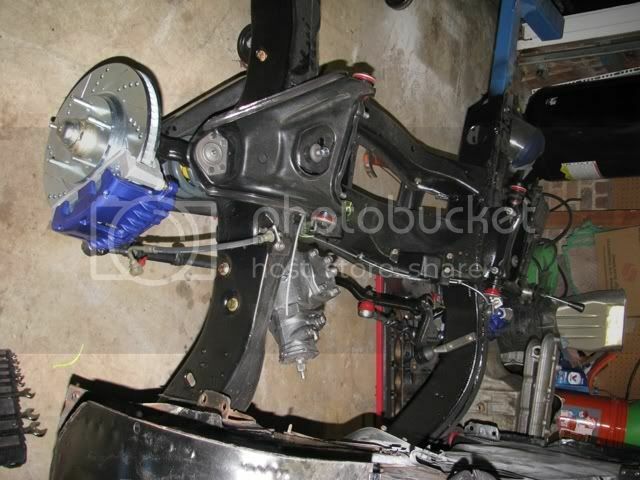 This weekend the rear frame and suspension goes in! 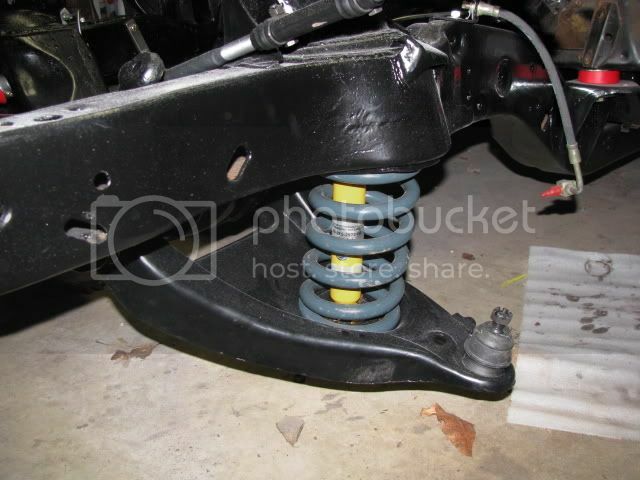 Not any new pictures since it has been friggin cold and my son has been feeling bad, but I did get the mock axle ready to go on so I can fab up the rear frame and suspension. This week I'll get that all squared away so this puppy can be rolling again! 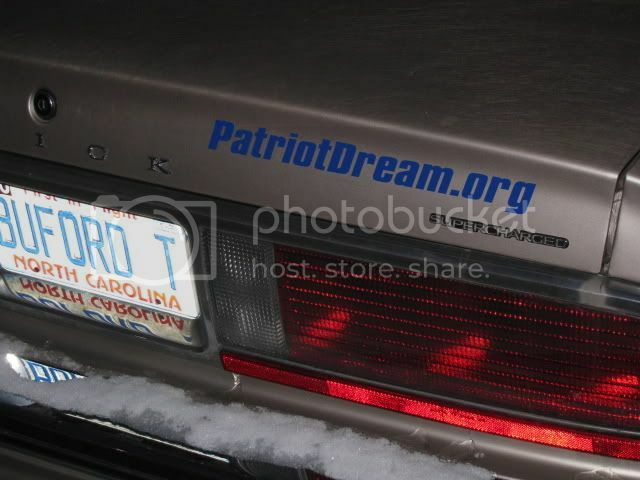 We also have some Patriot Dream stickers for sale to help with the project. They are $8 shipped and come in red, white, or blue. We only have a few right now, but I'll get more if they sell quickly. Here are some photos of them on my wife and my cars. 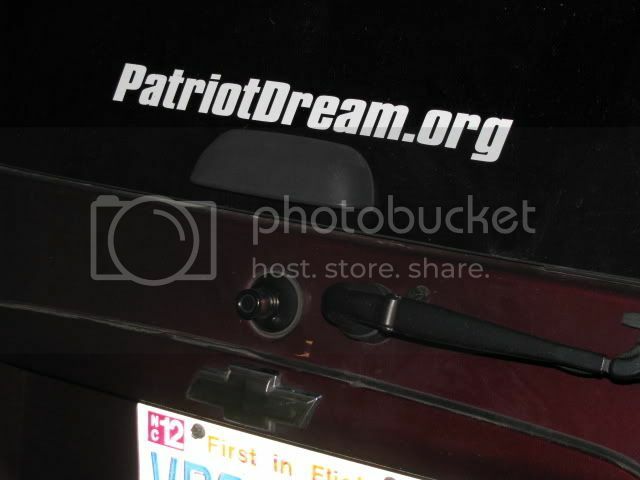 If you want one, send an $8 paypal to donate@patriotdream.org or send me an email at that addy and I'll give you our mailing address if you want to send a check or money order. No real updates on the car as far as work goes. My little boy has an ear infection and we've been up taking care of him all weekend and all. Poor little guy. 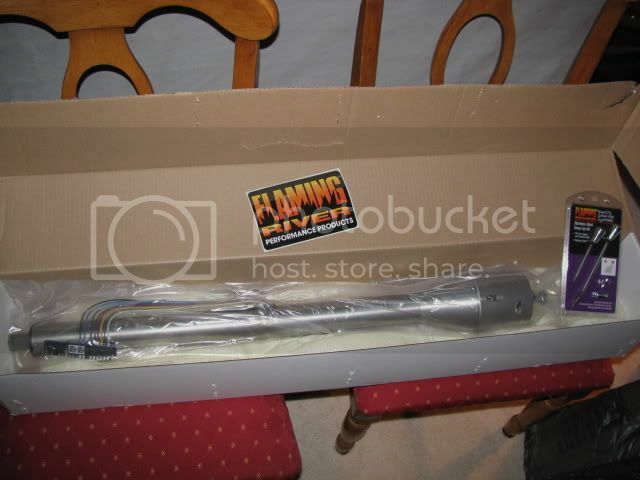 But I did get a Flaming River steering column in that NPD donated to the project! Been a rough few weeks here. We found out what caused the ear infection in my son. If anyone has heard of RSV my son had a bad case of it. He had a high fever, and a horrible respiratory infection. Basically every moment I had where I wasn't at work was spent with him lying beside me so I could see if he stopped breathing or turned blue. Yesterday he was pretty much through with it, but guess who has a cold now....yep, me! This weekend will be a work weekend, though. TV crew from Cruise Control is coming to film us, so we'll get a lot done. We also got our first donation from Iraq! 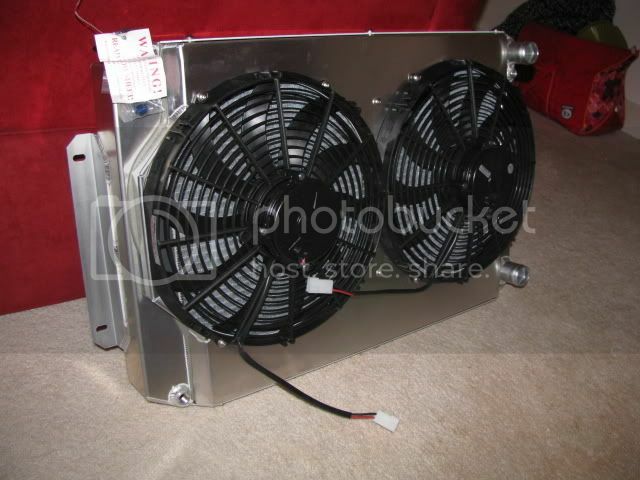 A guy in one of the local clubs heard we needed a fuel cell so he sent us a new Summit 16gal cell with fuel sender and mounting kit! More goodies! 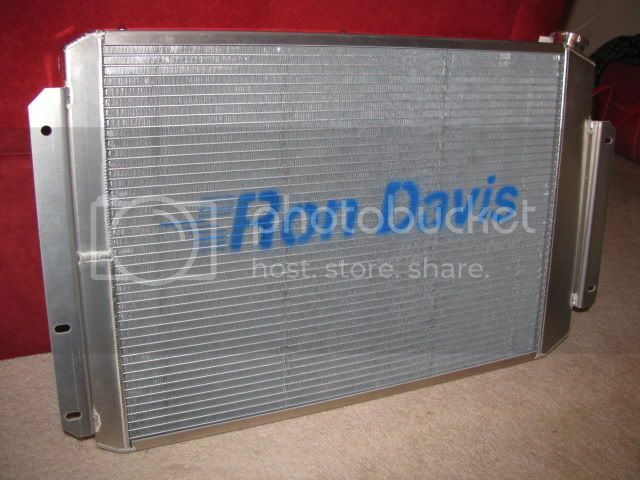 Ron Davis Racing Products hooked us up with an LS1 swap radiator with fans and shroud and all the goodies! Sorry for the long delay in posting! After my son finally started feeling better I got sick for a few days, but then I got a serious case of Sinusitis that had me all messed up for a long time. I couldn't even walk for a few days my equilibrium was so messed up and then for a couple of weeks after that I was still a little bit wobbly, so I wasn't supposed to be working in the shop. And then, of course, my computer died. Got a new computer now, though! Now I am back and running, literally! Just got word that Shawn's group got fast-tracked and he is coming home on April 20th! AWESOME news for all of us, but I am in a total rush now, especially after losing a month to being sick! I am going to try my hardest to get this thing done, but I am not sure if I can do it. 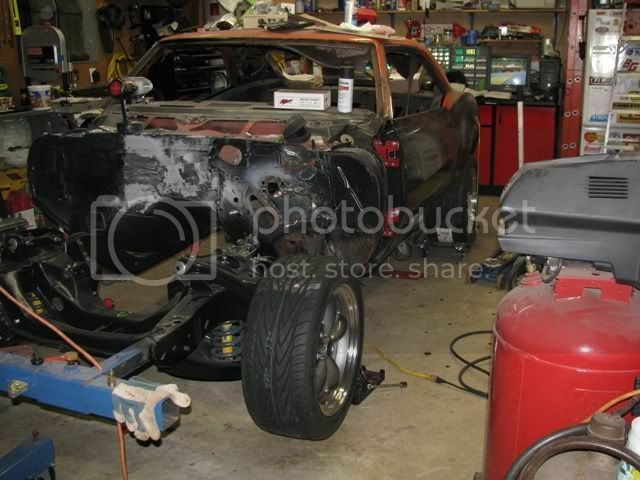 Worst case Shawn and I finish the car together, which would be something very cool as well. With our budget and all, it is going to be a squeeze. If anyone wants to come help out on any weekend, or if anyone has any parts or anything they can help us out with, please let me know! 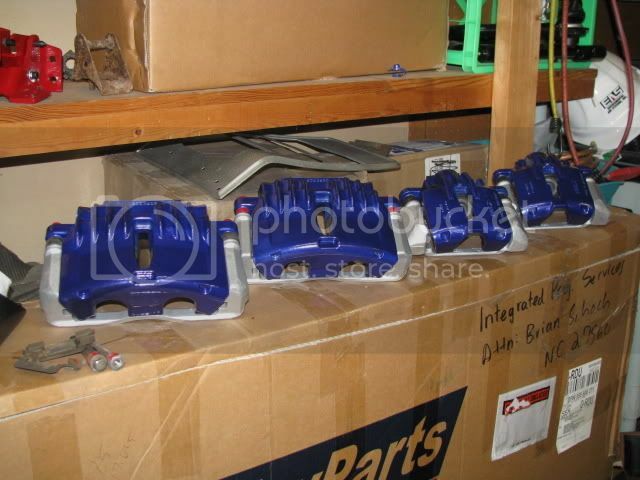 If you offered parts and I haven't gotten back to you, I will get with you soon. I need all the help I can get in any way you can help us! So here are some photos of my day in the shop! 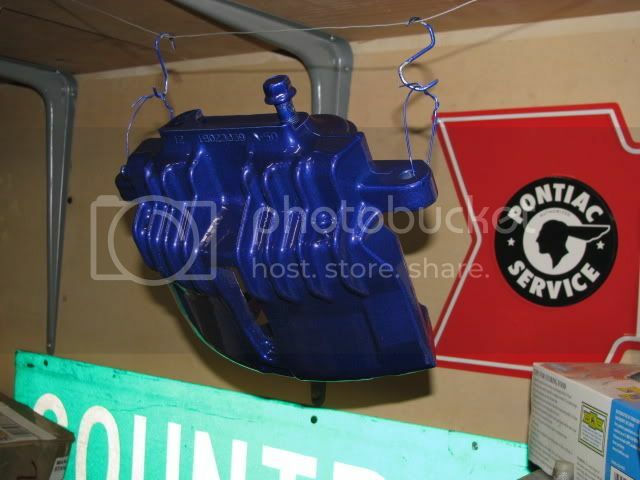 Mocked up the Wilwood clutch master cylinder. I'm going to relocate the fuse panel down and out a little bit and modify the clutch linkage to work with this MC, but this should work out perfectly. 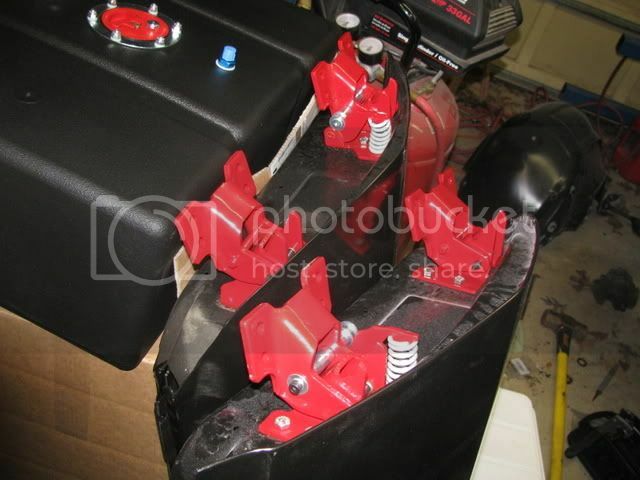 Upper a-arms powdercoated semigloss black with Prothane bushings installed. 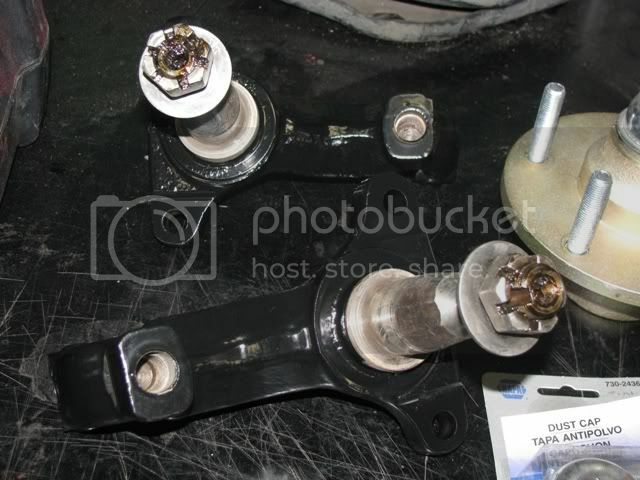 Thanks to HRT Performance for fighting the old bushings out and sticking the new ones in! Didn't even scratch the powdercoat! That's why they are the only machine shop I trust! 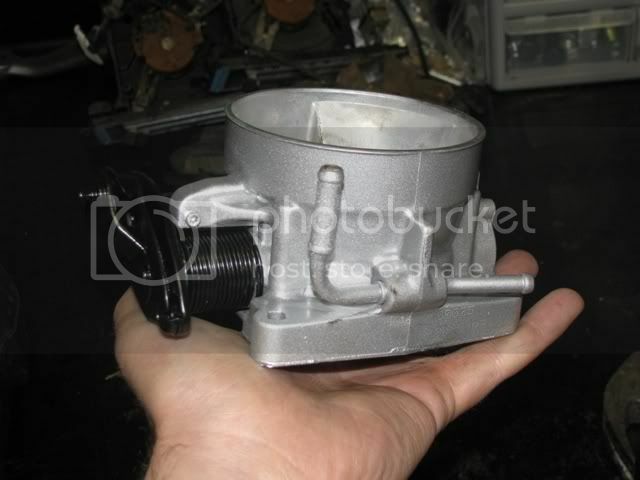 IROC steering box donated by a guy in Carolina F-body Club. All painted up and clearcoated in gunmetal. 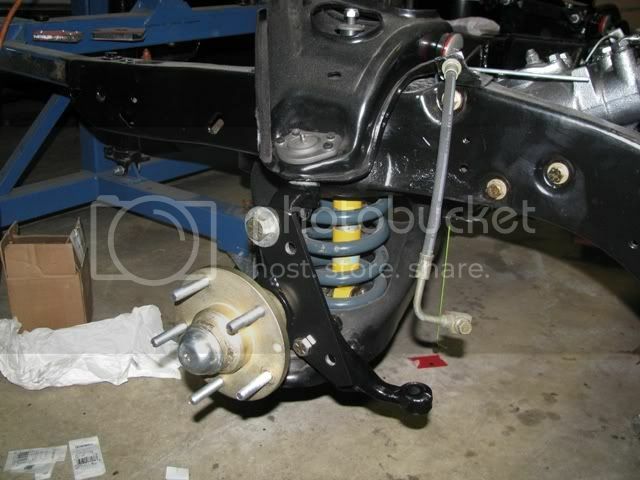 Worked on setting up the rear frame and suspension. Gotta basically start from scratch. I need help with this if anyone local wants to come and do it for me! 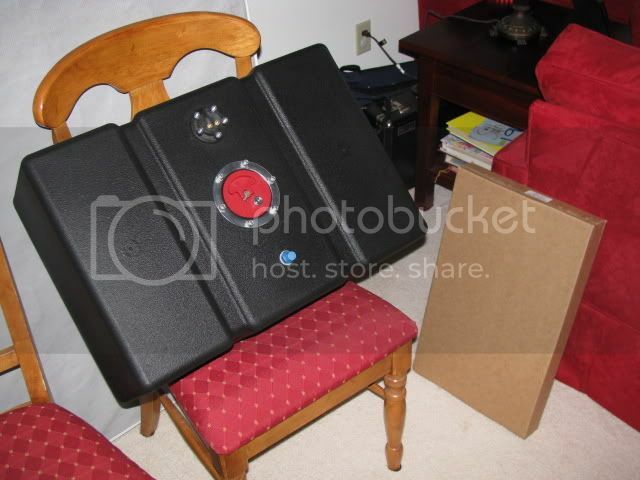 And finally, the sweet remote trunk release that Modo Innovations donated to the project! Tomorrow night I'm going to do some more work and try and get some more photos. OK, got some updates! 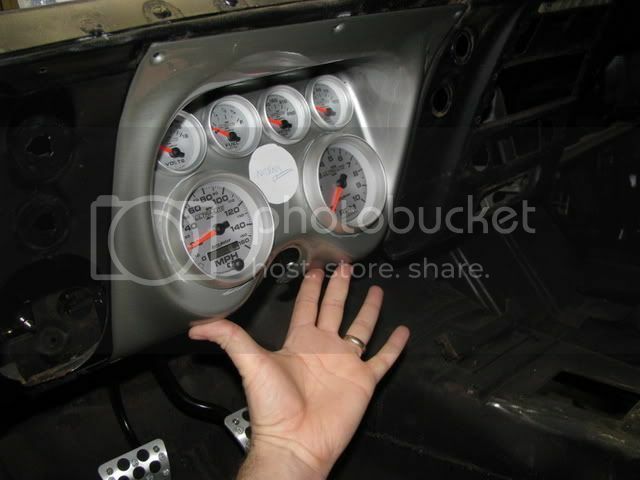 Got the gauges mocked up in there. The white circle in the middle I was going to use for another gauge, but I decided to use that spot for a few LEDs for turn signals and the like. 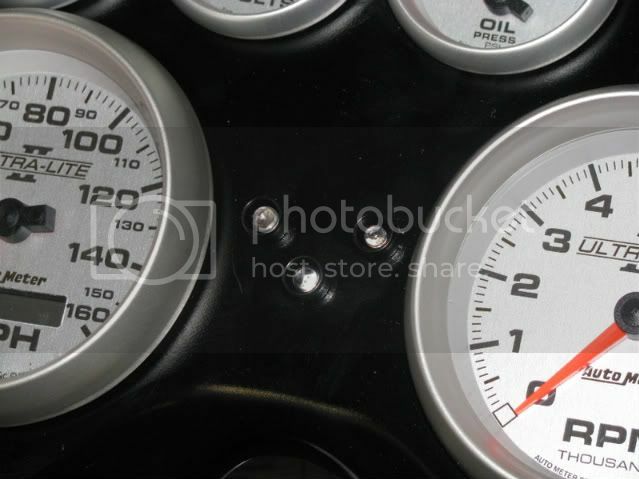 I'm gonna mount the nitrous pressure gauge right into the dash somewhere. I have an idea, but not set yet. 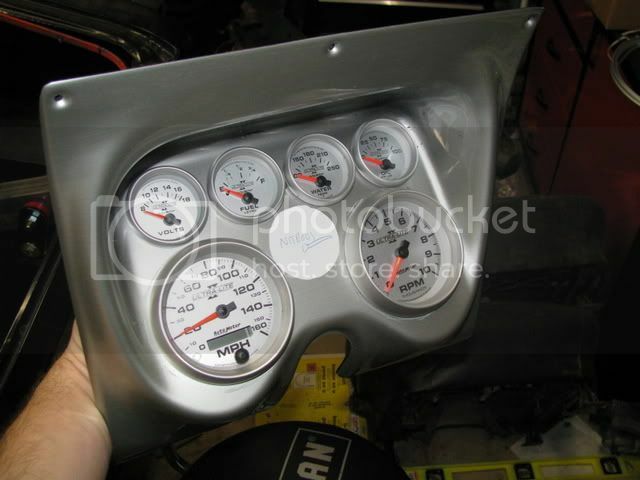 I have since painted the bezel semigloss black, so we'll see what I decide once I get the gauges in and in the car. 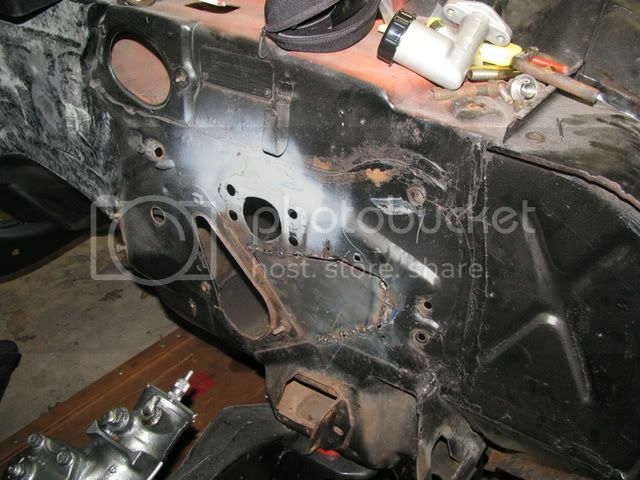 Also had some rust and some spots that I wanted to remove to smooth out the firewall. 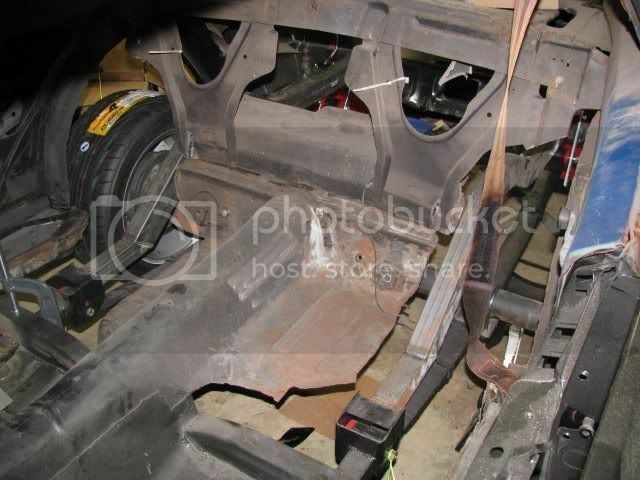 We cut out a small section of the firewall and I'm going to weld in a piece of metal there and smooth it over. 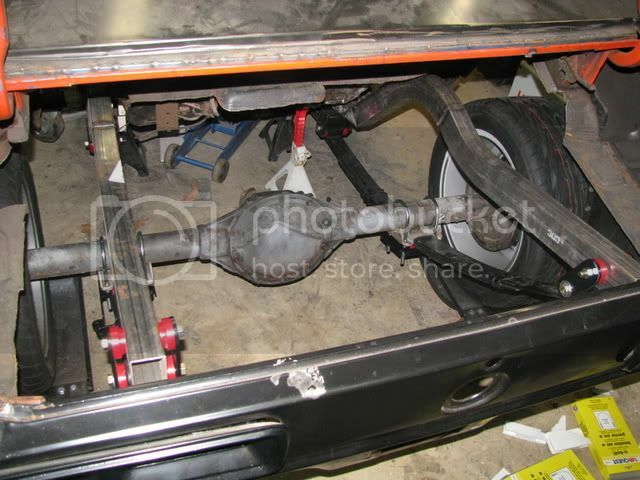 I'm going to relocate the wiring bulkhead to under the fender to keep the clutter to a minimum in the engine bay. And I had good help, too. My good friend Russ dropped by and had some fun with the angle grinder. 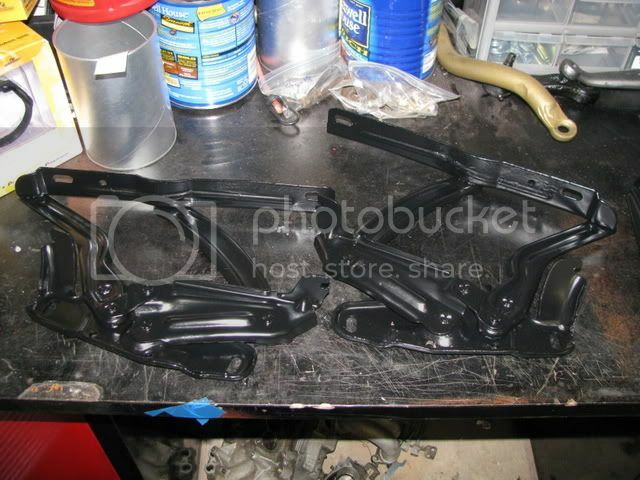 My best friend also dropped by and sandblasted some parts for me, so last night I powdercoated them in semigloss black. These parts were ROUGH, so they came out pretty good for what I had to start with! I get multiple requests for what parts I still need every week, so here it is for those of you who might be interested! 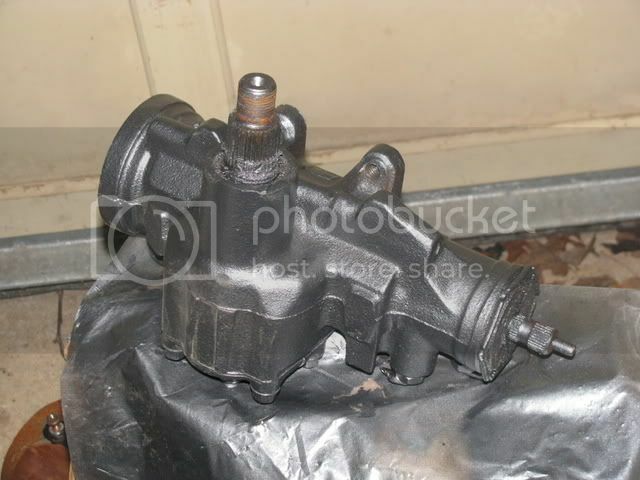 2nd gen TA or Z28 rear axle, posi preferred! 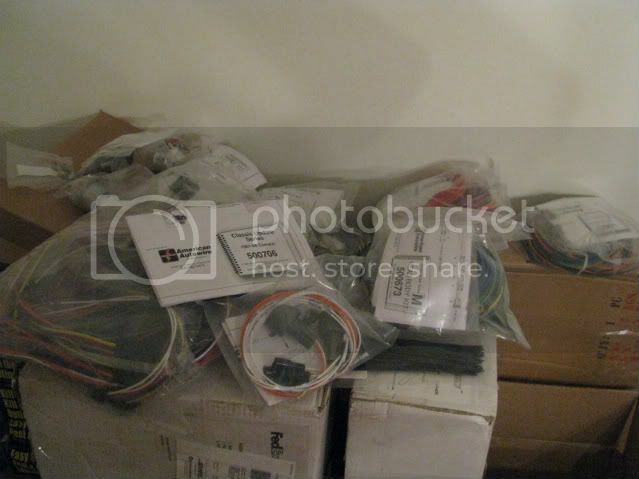 A guy on the Z28.com board donated the entire stereo system, so mark that off! 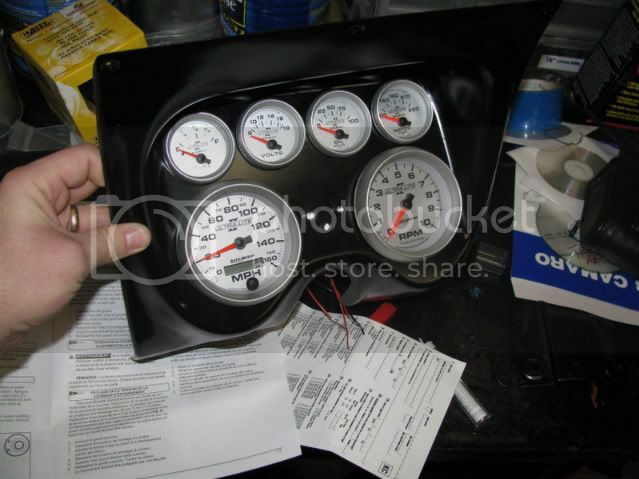 Got the gauge bezel all put together with the Autometer Ultra-lite II gauges and three LEDs donated by TheLEDLight.com. They are in a Covan's panel donated by Queen City Speed. 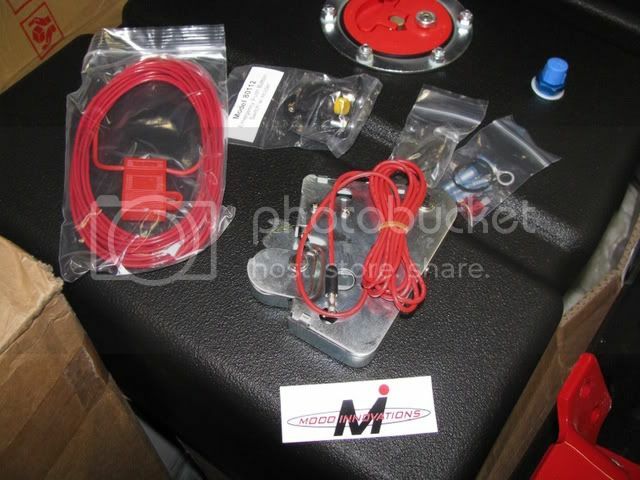 Also got in the Classic update complete wiring harness donated by American Auto Wire! I'm going to have a BIG update this weekend, so stay tuned! I also REALLY need any help we can get. We're running out of time and money fast with a lot left to do. 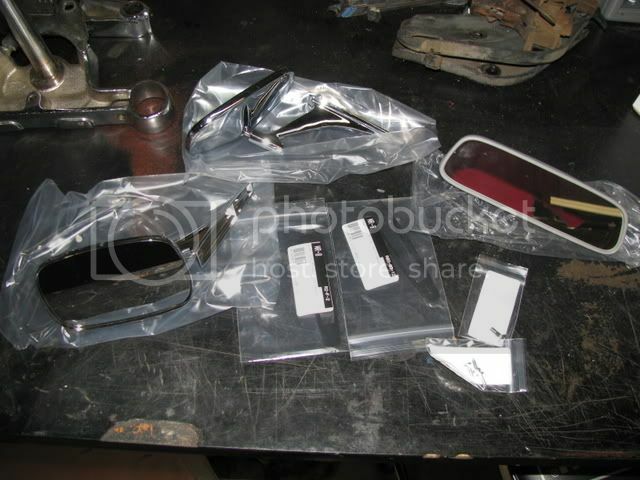 A guy on the Camaroforums.com donated a brand new set of rearview mirrors from Rick's! 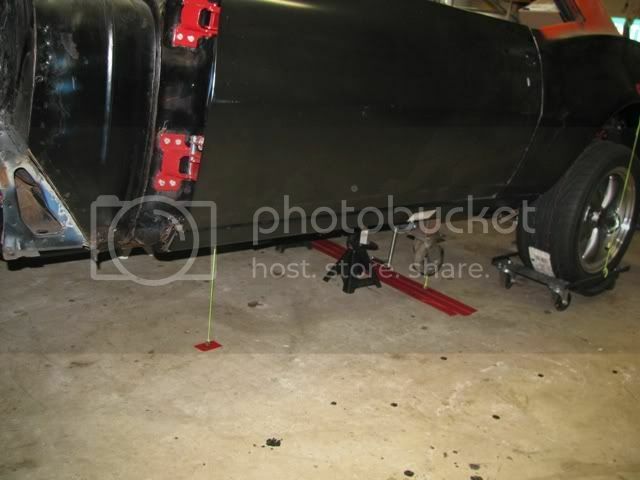 Also got the rear frame laid out, squared, and ready to be installed this week. Check out all my plumb lines and tape on the floor. Also had a MAF donated! I blasted it, cleaned it up, powdercoated it, and installed some stainless hardware on it. 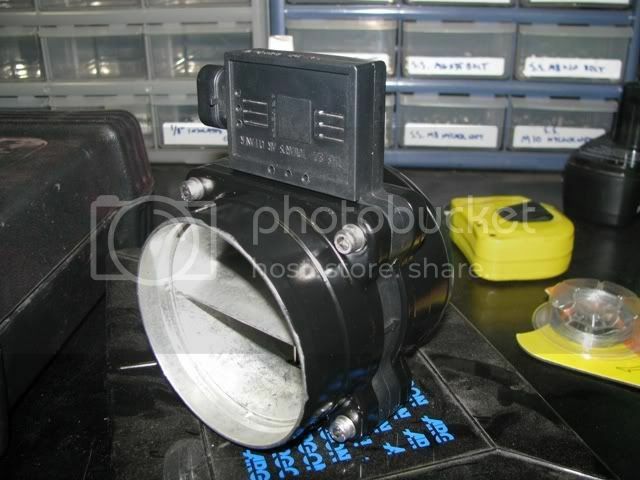 Also had a spare throttle body lying around so I took it apart and powdercoated it, along with the bracket and spring. I need the sensors for it if anyone has one lying around! 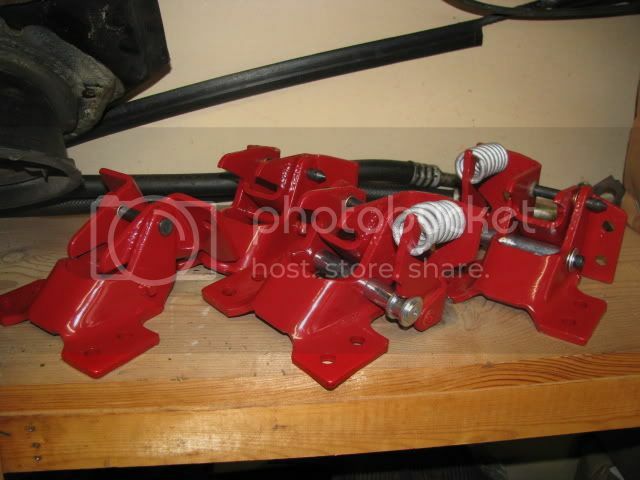 And also got in my modified spindles, hubs, and caliper brackets from Ed Miller! 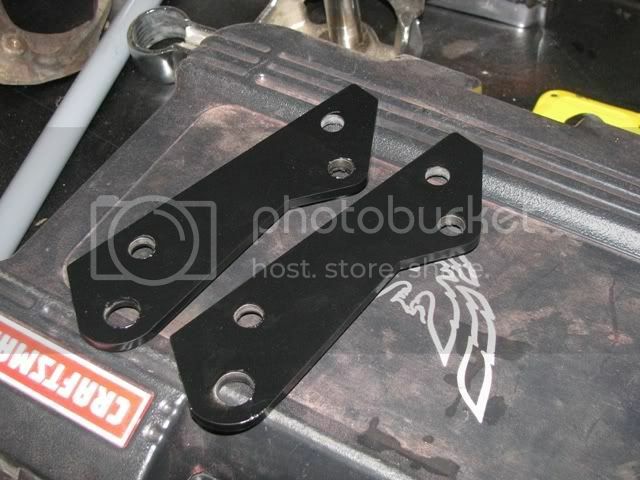 Ed left them bare for me, so I blasted and powdercoated the spindles and brackets. 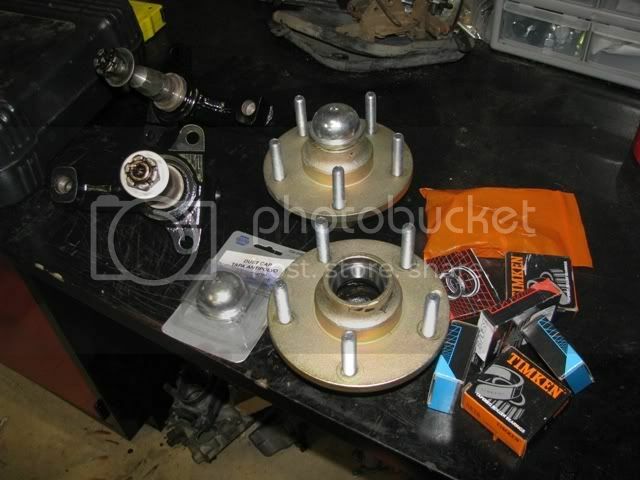 Tomorrow night look for some LS1 front brake pictures! 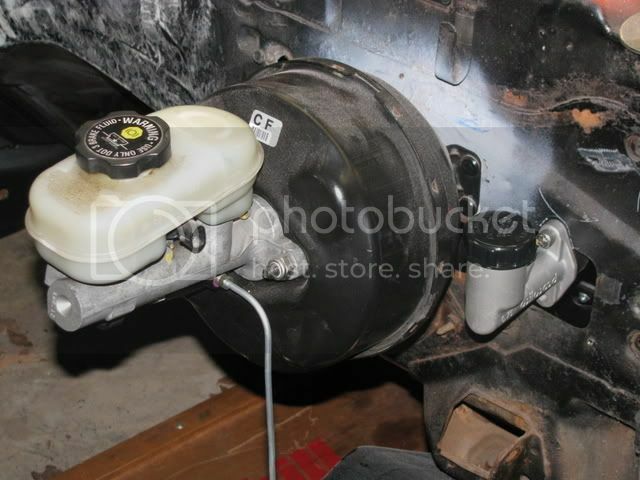 And we have brakes! 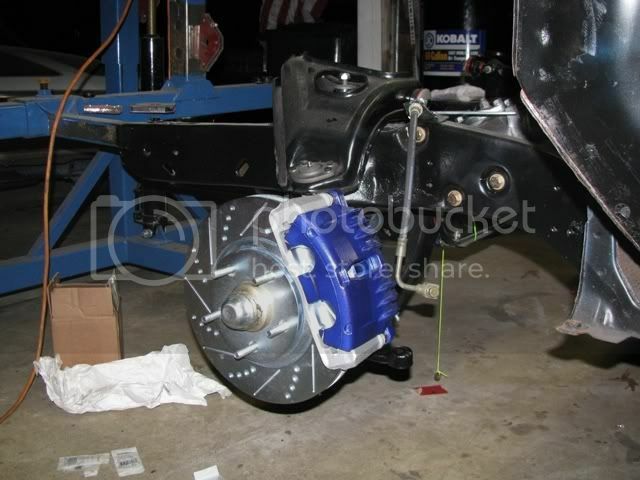 Got Ed Miller's LS1 front brake setup on the car and it is SWEET! 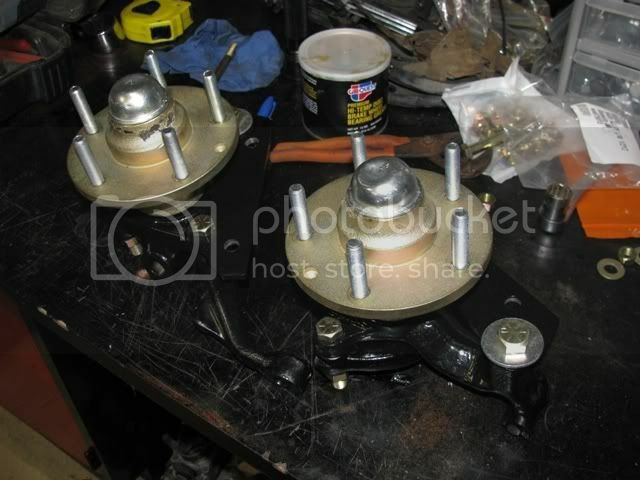 The rotors are drilled/slotted donated by RotorsOnline. 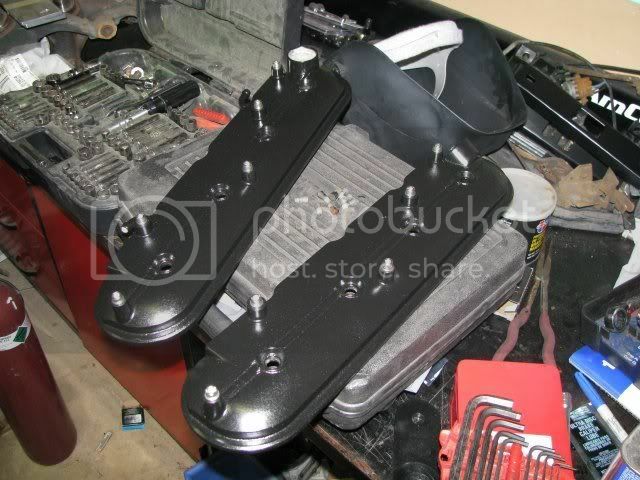 I didn't put the pads and all in yet because I had to order the hardware kit from CarQuest. But here it is! 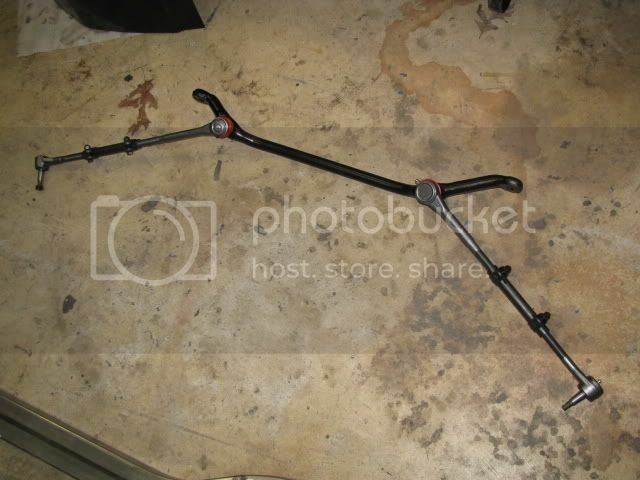 And the steering linkages installed, with the exception of a pitman arm, which I still need one off of a power box for a 1st gen.
And the front wheel installed! I got the car down and on four wheels the other day! Unfortunately, then is started raining and we had to push it back in before we could get pics. 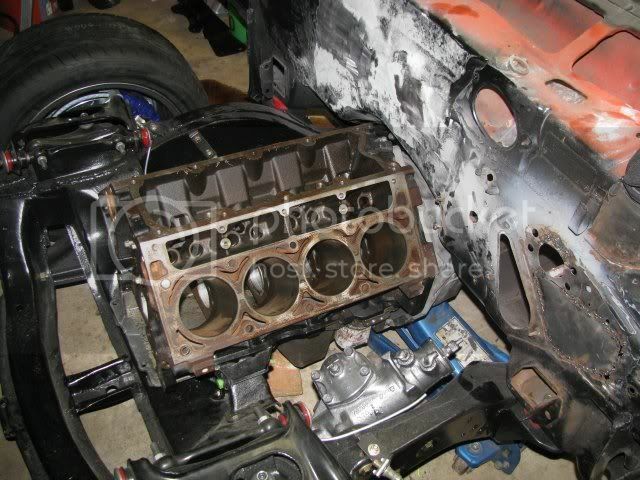 We then jacked the car up and started working on getting the mockup engine and trans in the car. 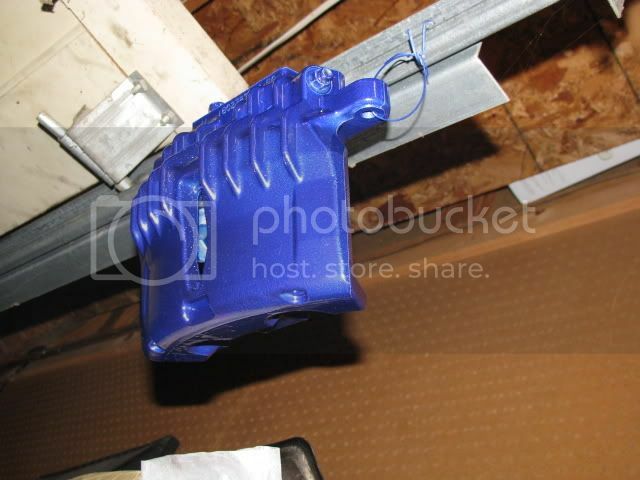 Speed Hound has been working with us on some retrofit brackets, so we wanted to mock everything up to see what needed to be done before we put the new drivetrain in. 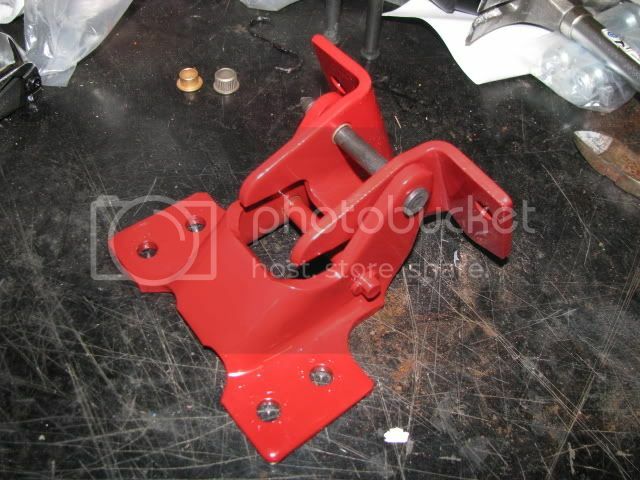 And more powdercoated parts by Triangle Musclecar.